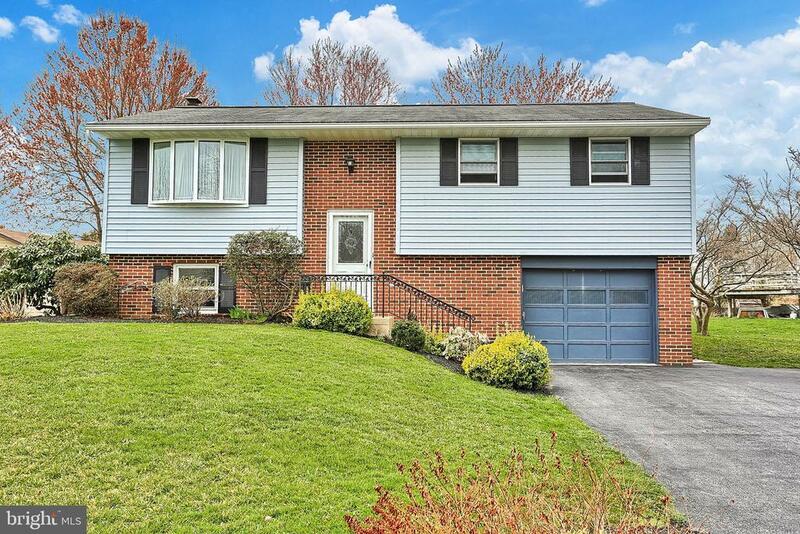 Adorable Hempfield Single Home in Indian Springs neighborhood. Sunny living room with beautiful bay window. Eat-in granite kitchen will all stainless steel appliances, dining area off kitchen with French doors out to enclosed deck, lower level finished family room with brick hearth & flue for future stove, 3 bedrooms, 1 1/2 baths, laundry room with front load washer & dryer included, new windows throughout, garage, heat pump, central air, sunny screened in deck, beautiful yard with mature shade trees. Directions: From Stony Battery Rd turn onto Indian Spring Drive. Home on Right. Selling Office: Bering Real Estate Co.